I first became interested in visiting Rio favelas when Dave was working on The Hulk in 2007. Some of the cast and crew flew down to Rio to film the opening scene where Edward Norton was chased through the slums of the city. When watching the colourful community built on the side of a steep hill displayed on the big screen TV, I was intrigued to find out more. However, Dave and I have never been ones for slum tourism. We spent three months in India and never visited a slum. We've travelled to South Africa twice and refused to gawk at people living in the poor shanty towns. 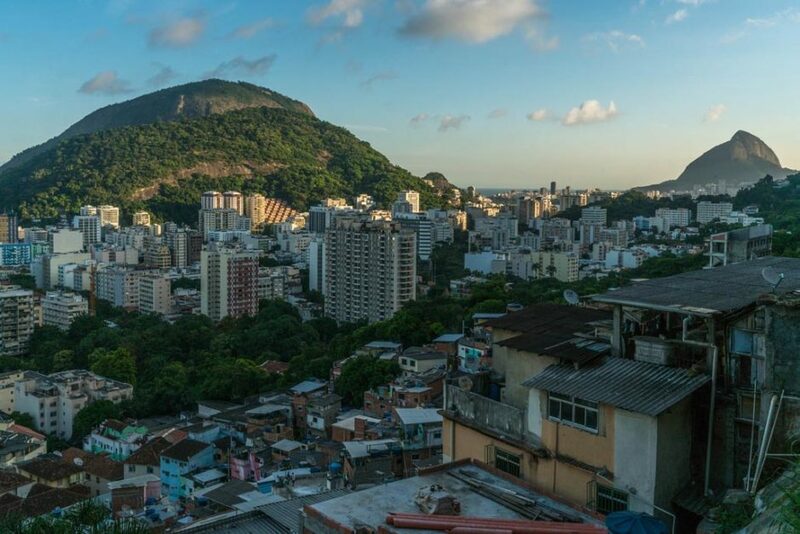 So why are Rio's favelas different? The answer is they aren't. It's more of our mindset and changing society. Over the years, we have learned that when booked responsibly and carefully, tourism into poorer communities of a city can help the population. But it must be done properly. 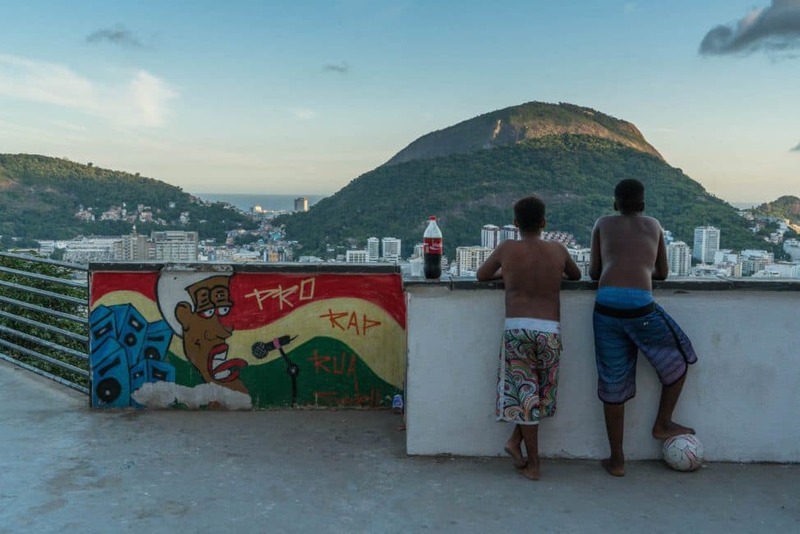 For a first-hand perspective, Read Should you Feel bad about visiting Rio's favelas? 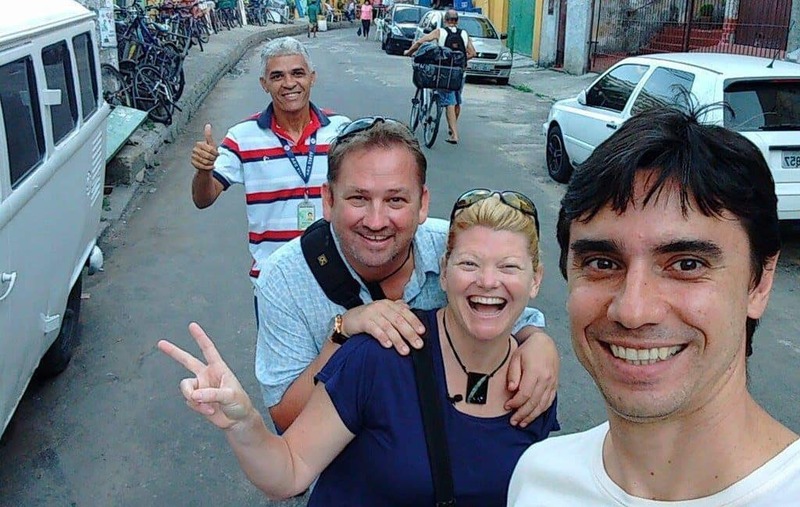 When our friend Jason (owner and operator) of Toronto's Tour Guys suggested we get in touch with his friend Luiz of Rio's Urban Adventures, we knew this was the way we wanted to explore the city's favelas. Luiz is from Rio and he knows the people of the Santa Marta Favela. As we walked through the narrow alleyways of the community with him, people constantly stopped Luiz to say hello and chat. He is friends with these people and they happily welcome him bringing tourists into their community to learn and better understand their way of life. Our awesome Guides in the Favelas. To truly better understand life in Rio's favelas, you need to walk through the community and engage with the locals. A favela is a term for a shantytown or slum in Brazil. More than 1.5 million people live in one of the nearly 800 favelas of Rio. 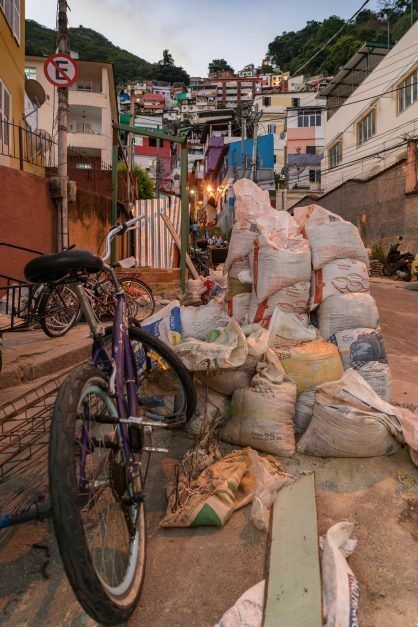 That's one-sixth of the population and chances are that your bartender, housekeeping staff or even front of desk reception of your hotel could be living in one of the many favelas of Rio. Brazil is changing. 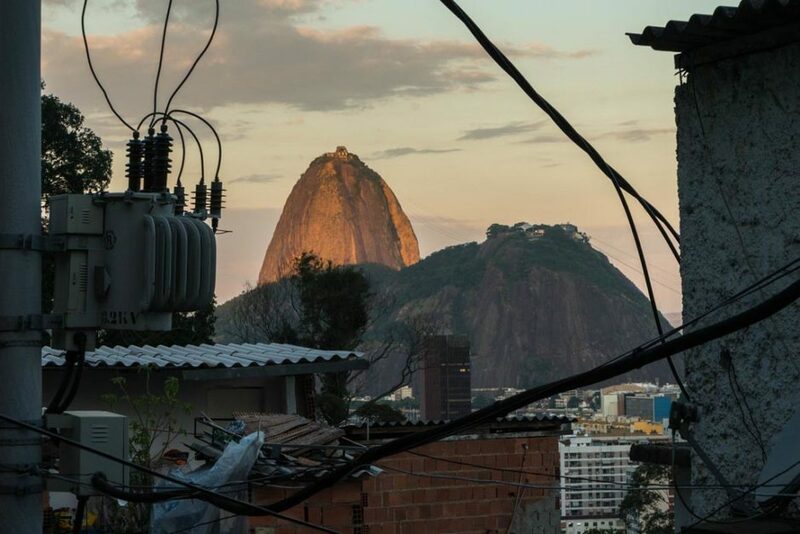 As host of the 2014 World Cup and the 2016 summer Olympics, authorities have worked hard to change the perception of lawless and dangerous Rio. Favelas have the reputation of being run by gangsters and drug lords. In the past, they were dangerous and off-limits to outsiders. Today, nearly forty favelas have been pacified by police units. There's a long way to go, but it's a start. 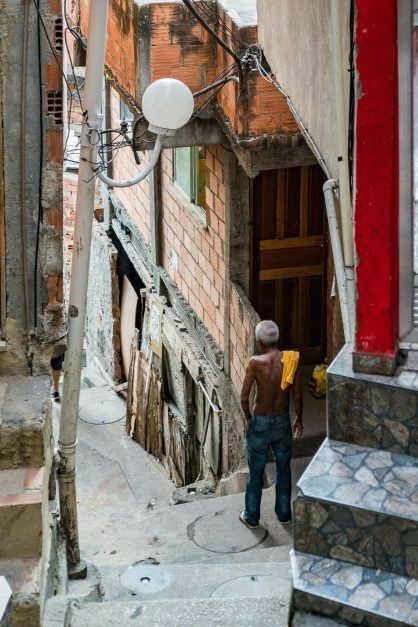 Most people living in favelas are not a part of the drug trade and live normal lives. While visiting Rio, we had more than one person tell us that Favela is a derogatory term and the word favela is quickly being replaced by the community. After visiting the Santa Marta favela, I understand why they want the term changed. Favela is associated with violence, gangs, and shootouts. The community we walked through had children playing in the streets, parents bringing home their groceries and community centres filled with kids learning to dance. The question Dave and I got most while visiting Rio was “Do you feel safe?” While Rio is still a city filled with corruption, and like any populated urban centres in the world there are certain risks, we did feel safe. We walked through the streets at night, took morning strolls on the beach and enjoyed our time in Rio. We didn't go down any dark alleyways and we didn't walk down by the water in the dark, but by keeping our wits about us as we would at home, we had a safe and enjoyable time in Rio. 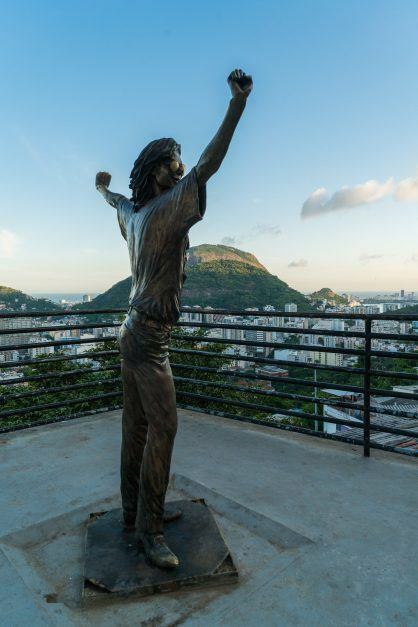 It's safe to visit one of the pacified favelas located within the centre of town near the beaches, Christ the Redeemer, and in the suburbs near Olympic sites. 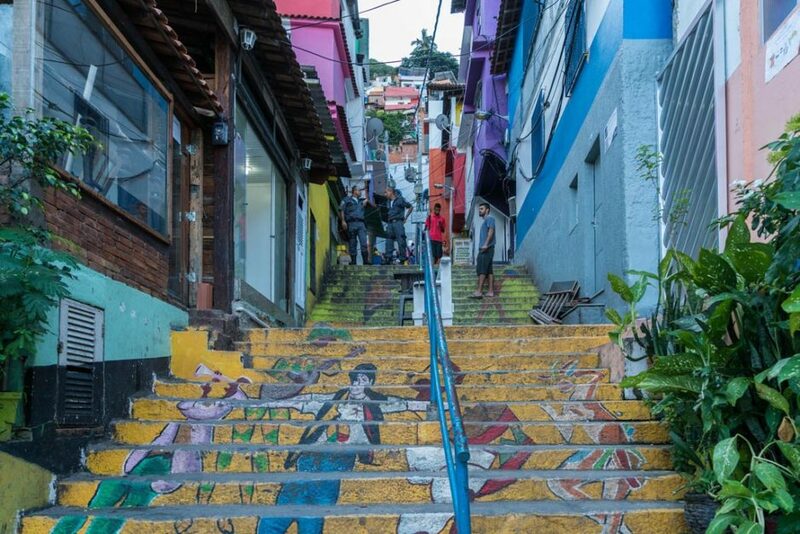 It's important to know what favela to visit and that is why we recommend a tour. When visiting the Santa Marta favela, Luiz told us that we are now probably the safest we will ever be in Rio. We don't have to worry about theft or violence. 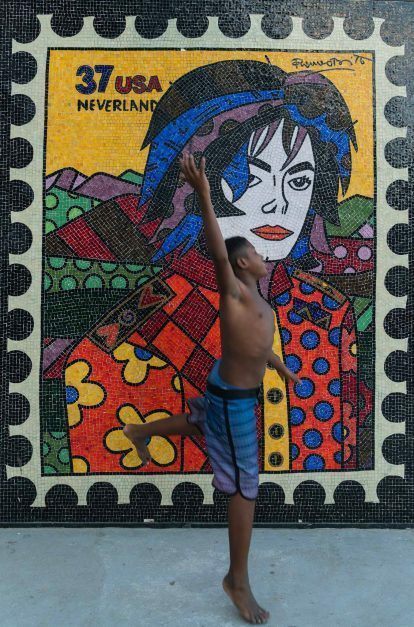 When making our way to the top of the favela, we came upon a square with a statue dedicated to Michael Jackson and a shop that played his video for us. The community has changed a lot since the 1990s. While watching the video, Luiz pointed out how the wooden shacks on stilts and broken streets have now been replaced with painted cement houses and proper walking paths. The Santa Marta Favela has grown to a thriving community complete with shops, businesses, proper hydro and garbage collection. A vital part of the Santa Marta infrastructure is the funicular that takes residents, construction materials, heavy items, and trash up and down the steep hill. 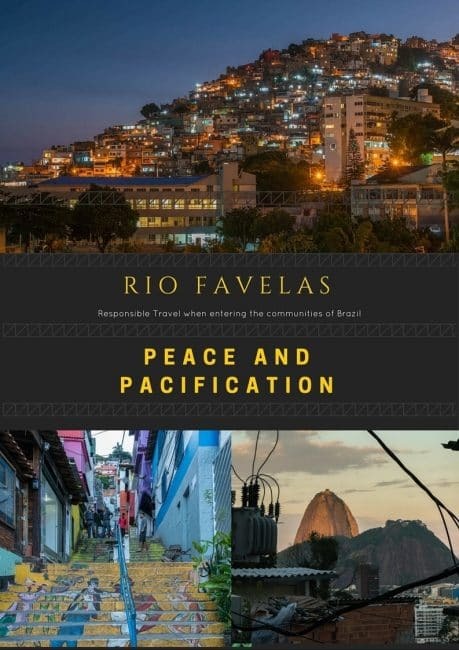 Want to learn more about life in Favelas after pacification? 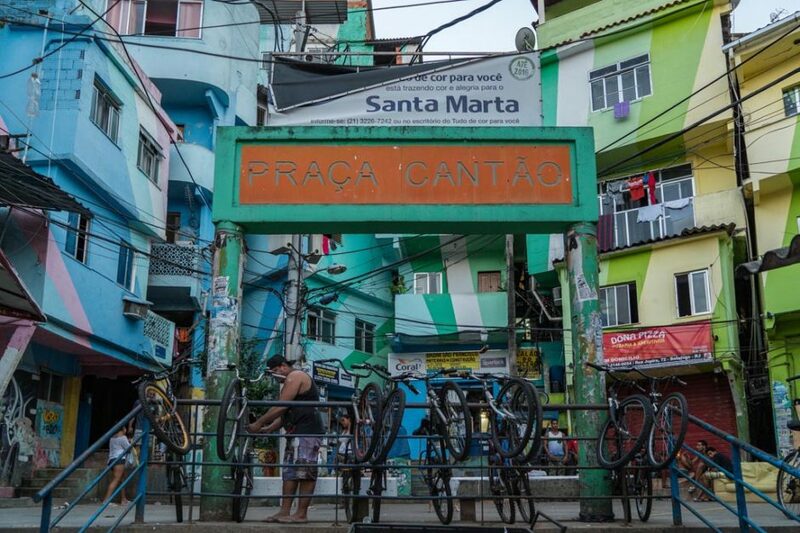 Read about Brazil's Makeover of Rio's slums in the Smithonian. Why are Favelas on Hills? Rio is a mountainous city. At the turn of the century, it was difficult to get around on high ground. I am often reminded of Hong Kong. The slums of that city were once on the steep hill that is now the ultra chic and expensive area of SoHo. The Rio favelas are similar. They started out as temporary dwellings for former soldiers who settled on a hill that was filled with plants known as favelas. The soldiers ended up calling it Favela Hill. Later, when slavery was abolished in Brazil, many slaves didn't have a place to live, so they built shacks on the sides of hills outside the city centre. Over the years, as more people moved from Rural Brazil to cities like Rio, the poor settled in the favelas as well. Today, many of the favelas are located in the most prime real estate plots of land. Million dollar homes can be surrounded by the slums. While staying at the Sheraton Rio on Leblon Beach, we looked directly into a large favela built directly on the sea with the most extraordinary view in the city. 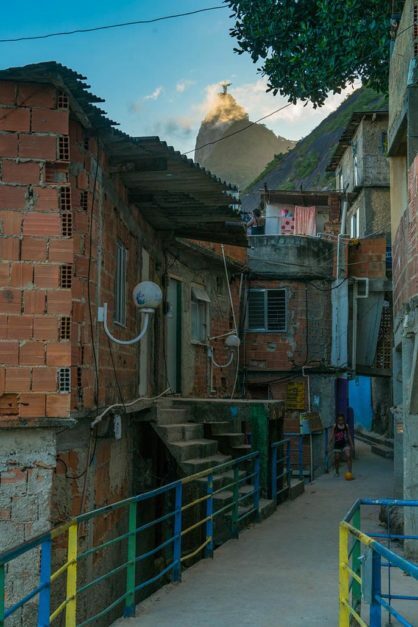 Many of the favelas have the best views. I mentioned to Dave that as the city grows, I am sure that the residents will be pushed out to make room for more luxurious real estate. 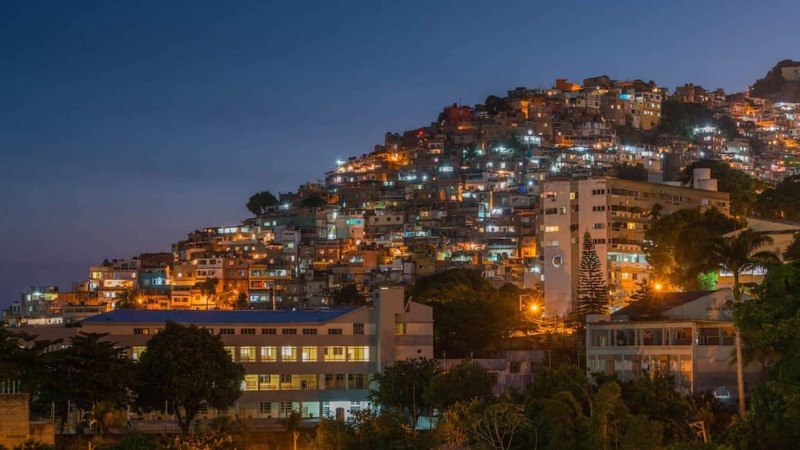 Like many poor areas around the world, drugs took over and favelas were overrun with drug lords governing the favelas in exchange for protection. With the pacification process of heavily armed police clearing out the violence, favelas have become more of a part of the community. However, even as I write this, I am not sure how I feel about the term pacification. Are the authorities simply doing a blanket culling of people? When I listen to filmmaker Dan Jackson speak of his documentary “In the Shadow of the Hill” I worry. 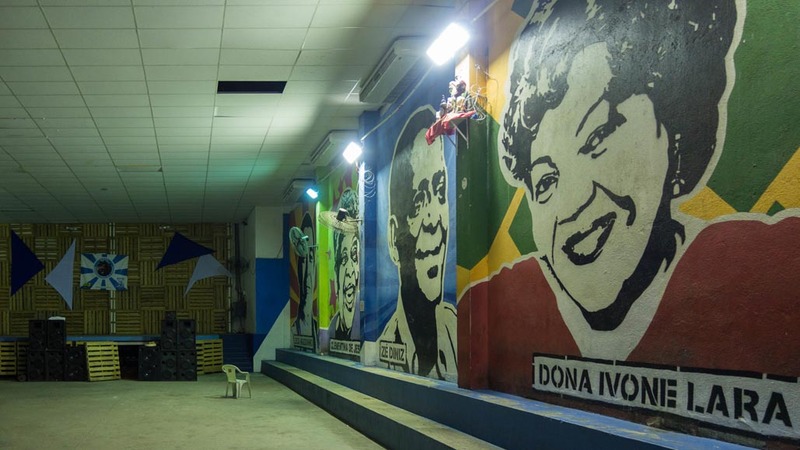 While favelas are becoming safer for tourism, at what cost are its citizens paying? In his documentary, he states that police are disappearing more people than they kill so that it doesn't affect the statistics of police killing in Rio. That's something to be alarmed about, isn't it? I am not a political commentator so I don't want to go into further scrutiny, but it is a question to be asked. While visiting the Santa Marta Favela, we did feel safe but we still felt uneasy. At one point I was shooting video of colourful houses when a gang of kids yelled something at me. My local guide looked at my camera and Luiz told me I would have to delete the last clip I took. I had no idea what I just filmed. I wasn't even looking at the kids standing on the platform to the right. I was shooting a block of houses that had recently been painted. But there is still crime and corruption happening. Some people will say that you are fine to visit a favela on your own. 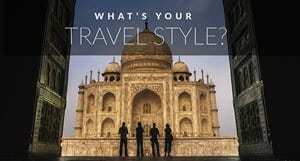 While the seasoned traveller might feel safe, I think it is with respect that you go with a guide who knows what is on and off limits. A guide will give you the history of the place and tell you about the progress. We appreciated how Luiz was honest and talked to us about the problems and progress. He pointed out how one building used to be the drug lord's head office, yet today it is a kids community. He played football with two boys who seemed happy and well-adjusted, yet he told us that their father was a drug lord who was killed in 2008 by police. It was an eye-opener and heartbreaking story. 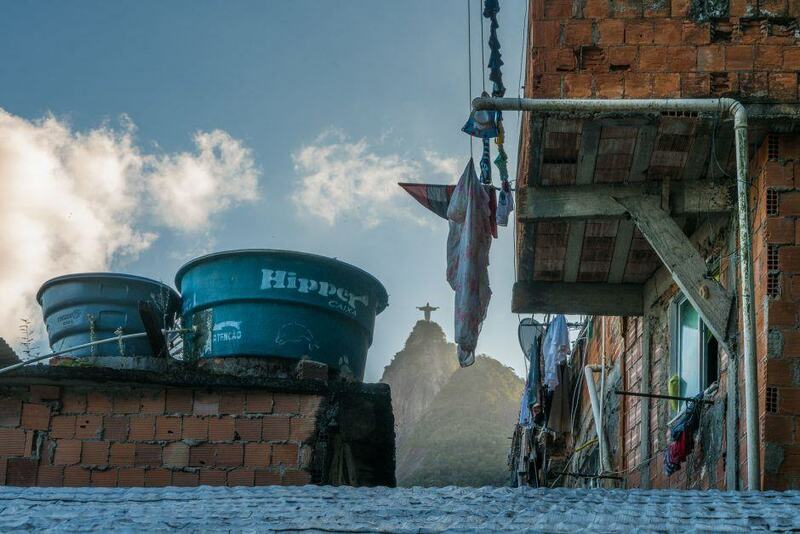 The people of Rio's favelas are victims of poverty, violence and corruption. But life is looking better and I can only hope that it continues to improve and that Brazil stays on track to remaining part of the BRIC (Brazil, Russia, India, China) countries set to lead in the 21st century. Brazil is going through political turmoil at the moment. Let's hope that the outcome is a good one. All eyes will be on Rio this summer, I can't wait to see them thrive. Choose a walking tour like Urban Adventures. Skip the tours that just pass through on a bus or in a car. You need to respect the community and learn about it. If not, why bother going in? Don't ever give candy or tips to kids. Urban Adventures encourages tourists to avoid giving charity handouts to the community. They want children to go to school. Do not block paths for locals. They have to climb these steep stairs daily and paths are narrow, stay out of their way. Use local guides. 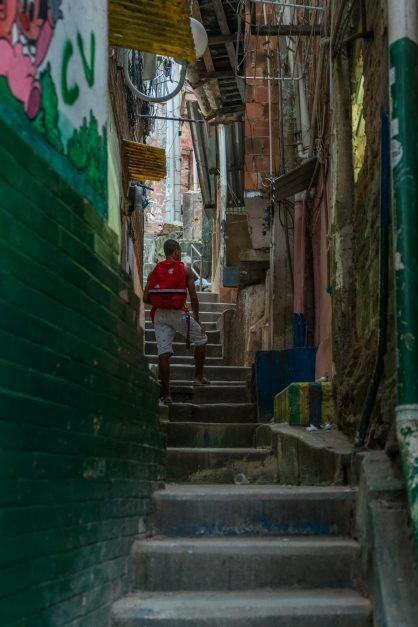 Urban Adventures has their guides, but the minute you enter the favelas, a local resident joins you to give a first hand perspective and connection to the community. Do buy local arts and crafts and support the local economy. I loved my necklaces that I bought in the favela and I made sure to buy drinks during my tour. 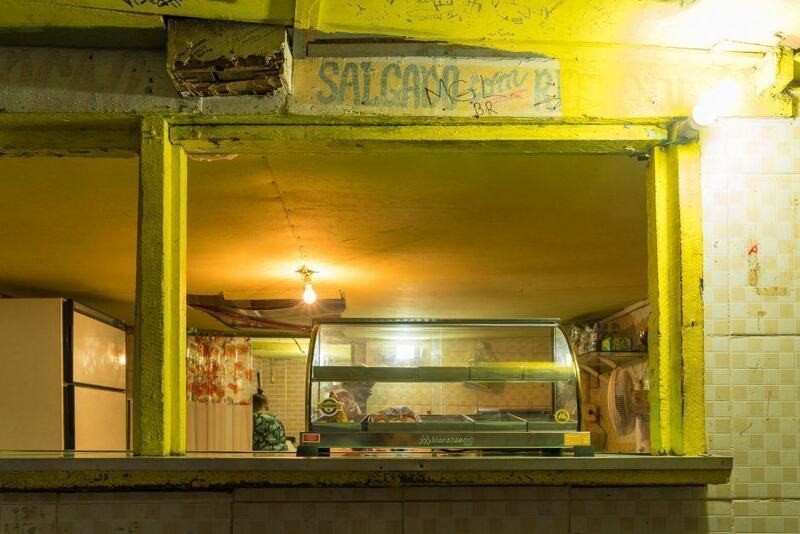 15 Responses to "Pacifying Rio’s Favelas"
I hope that it continues on a positive path. Staying out of the way of people was a tip from our guide. You picked the right favela to visit. Most of the favelados in Brasil as a whole will tell you the UPP’s have done them no favors. The police are more dangerous to your average resident that gang leaders are. Gangs have a tight line you must walk to survive, but you are aware of the rules. Residents will tell you stories of high priced medications needed for their children being delivered by the traficantes or business owners reporting robberies to the patrao and the merchandise being returned the next day. When the police come in they are nondiscriminate with their bullets. Often times innocents are murdered and stages to look like criminals. Or violent police militias move in and terrorize locals in ways the gangs never did. Many gangs are known to provide the money needed for community improvements as well. I’m certainly not saying that it’s a good thing to be ruled by gangs, but the governments complete abandonment of these communities and the darker skinned poor of Brasil is the reason why these gangs were able to flourish to begin with. You paint a beautiful picture of a peaceful community and the policies that transformed it, but this is far from the reality of favela life. The majority of these communities country wide don’t have sanitation, schools, trash pick up, legal electricity, community centers or beautifully painted murals. And still the children play in the streets, the residents chat on front of their homes or head off to work passing young men with grenade launchers and automatic weapons. Yet, when they see the police coming they run into their homes lest they be killed for being poor. NICE POST! THANKS FOR THE SHARING…. You raise several good points about the difficulties involved in “slum tourism”: the question of how to determine the kind of tourism which empowers these communities vs. the type which leads to exploitation is, rightfully, an ongoing debate. 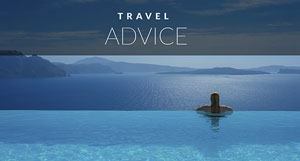 But, as you say, there are some basic guidelines which can help potential tourists navigate these waters. I never considered going on a slum tour until my husband and I visited Jakarta, Indonesia. There, because of the huge divide between the have’s and have-not’s, it actually started to feel wrong NOT to consider how we might get an understanding of the severe poverty in which so many of that city’s citizens live. Great point Hillary. There is a growing divide in this world and I do think it is important to understand how people live. Tourism can help to boost the economy, but it has to be done responsibly. I don’t think the tours that drive through the slums and look out the window are doing any favours to the locals. But to walk through the community and interact with the locals while supporting the businesses, that does make a difference. I believe. Olhando pelo lado bom, as favelas do rio tem muita coisa boa e pessoas do bem. What a wonderful city! Thanks for sharing your story! Cheers! It’s all about using common sense when you embark on a tour in the Ffavellas. Think it has been a good thing with the pacifying of the favellas, and very needed with the upcomming summer Olympics. Lots of visitors might be “forced” to find alternative accommodations in or around favellas. And with the hefty security budget cuts Rio has announced for the Olympics, common sense is even more in play. Never thought about standing in the way of locals in the narrow streets – but makes perfect sense. Thanks for the comments Bo. You are so right about common sense. Unfortunately a lot of people don’t have common sense and need to be reminded. But if everyone simply travels the way they live their lives with common sense and respect, things would go much better for locals in other places. I believe that getting the Favelas under control is definitely necessary as well. The regular folks deserve peace. It would be terrible to be controlled by a drug lord. And yes, it will help the economy so much if people can start to stay in affordable favela accommodation. 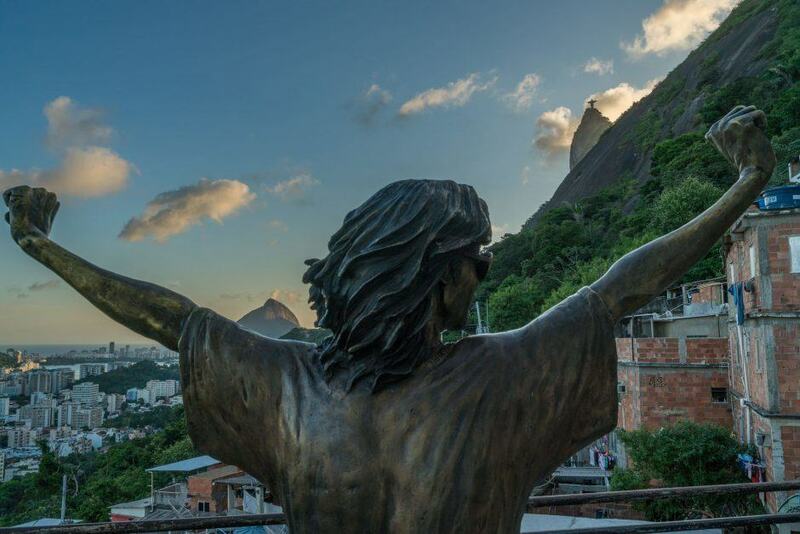 That’s a powerful shot of the christ the redeemer in the background. 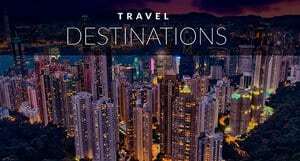 Responsible tourism in places like these can be a fine line. It definitely sounds like a great thing that a local living in the area will give meet you and talk with you through the favelas. It would be a much more rich and meaningful experience to actually understand and hear about the area instead of simply walk through without knowing or our own assumptions. I like that aspect of the tour a lot. Will have to check out that documentary. It was great. He even showed us his house in the favela. We didn’t go inside, but we saw his balcony. The residences have come a long way and people’s quality of lives are getting better. I hope that it continues on a positive path. Staying out of the way of people was a tip from our guide. 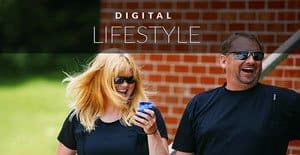 I don’t think I would have thought of it either, but when people came bounding up the stairs, I realized just how much work goes into their every day lives. There is a gondola, but there is only one and the lines are long. So most people are forced to walk up and down the steep stairways every single day. Now I kinda want to watch The Hulk again 🙂 Nice batch of pictures! I want to watch it again too. I think it was a good flick. It was too bad the Ang Lee one turned so many people off. The Edward Norton version didnt’ get the audience turn out it deserved.